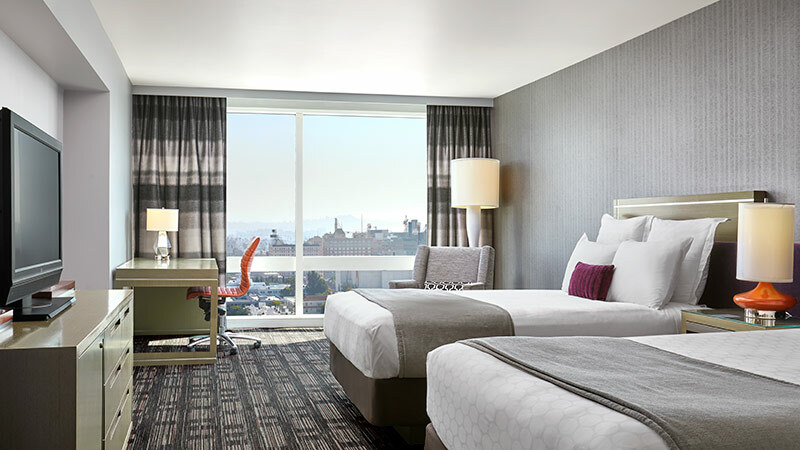 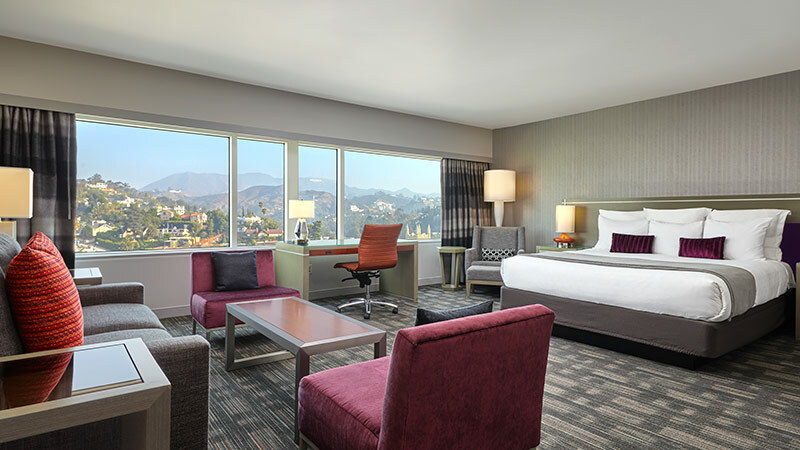 With an excellent central location, there are spectacular views of Hollywood to enjoy when you stay at the Loews Hollywood Hotel. 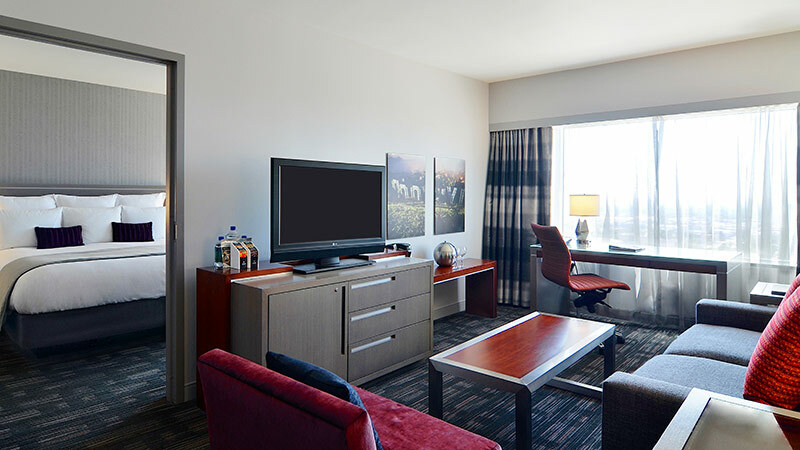 With stylish rooms and suites, superb restaurants, a range of business services at your fingertips, and local attractions recommended by your hotel concierge, this 4 star property will provide a truly wonderful stay. 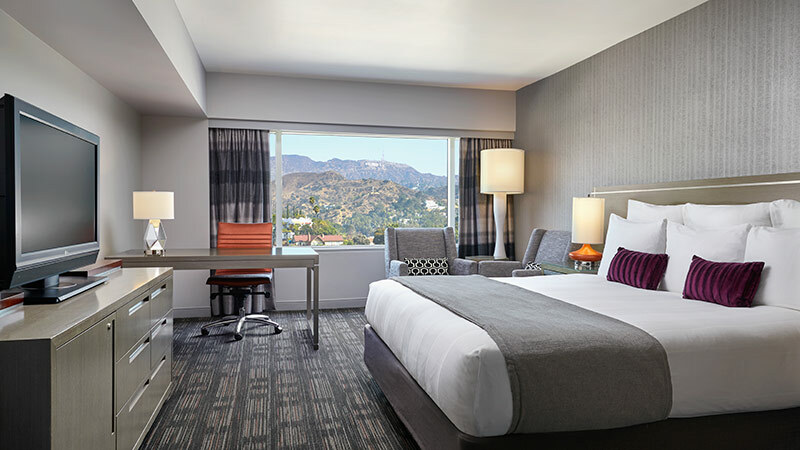 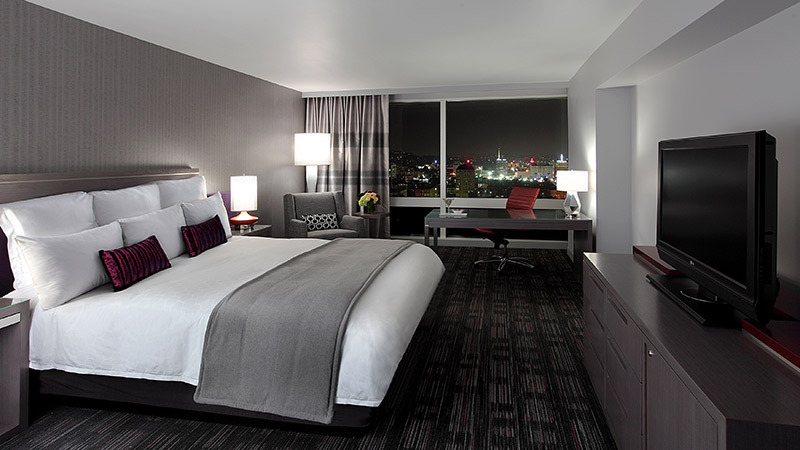 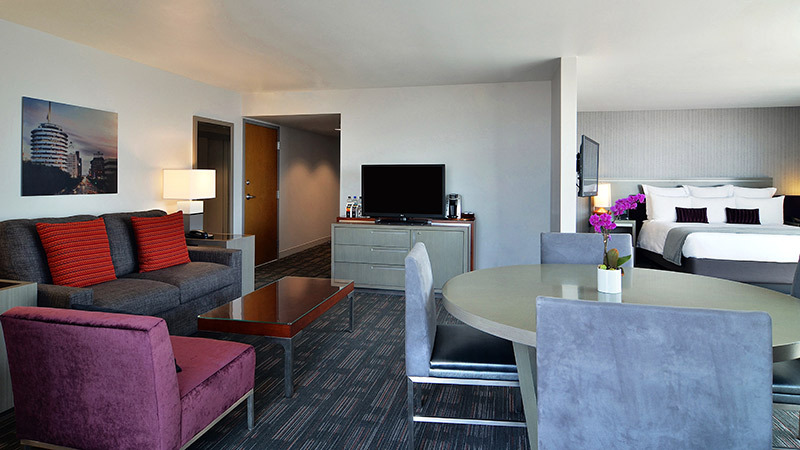 Whether you’re travelling for business or pleasure, the Loews Hollywood Hotel has you covered. 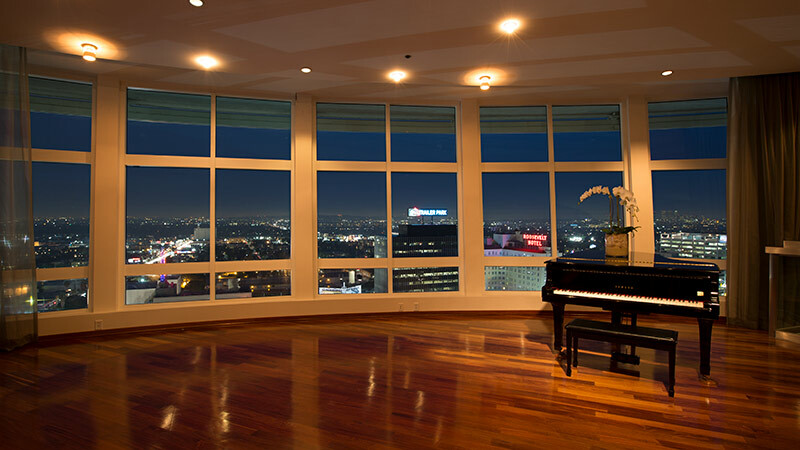 Had a busy day of meetings? 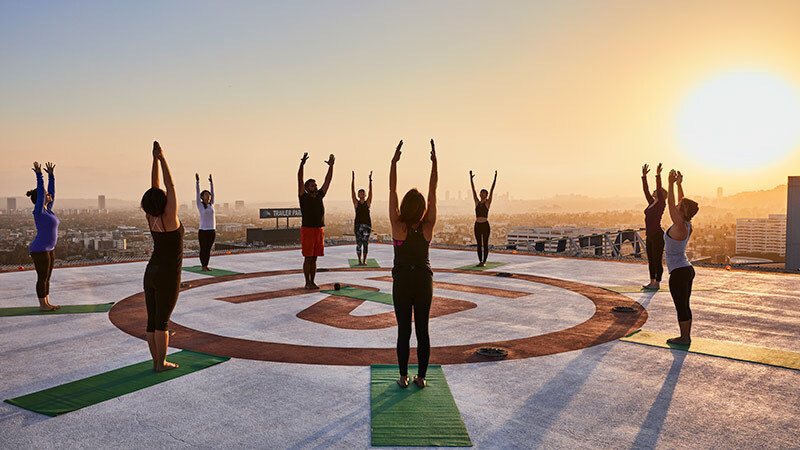 Why not head to the heated rooftop pool with poolside cabanas or try one of the ultimate yoga experience available to unwind. 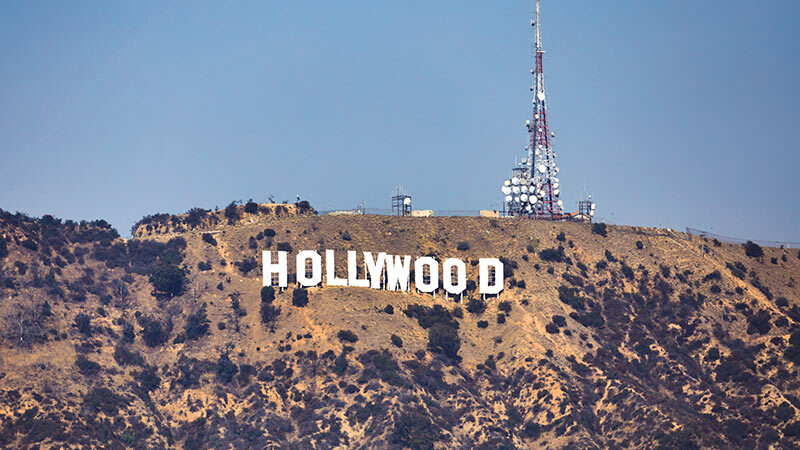 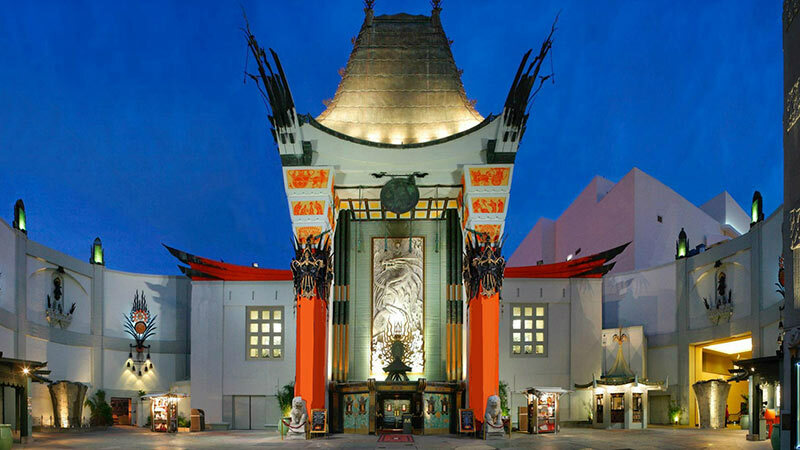 Leisure travellers looking to head out and explore Hollywood have a fantastic array of brilliant local attractions to explore. 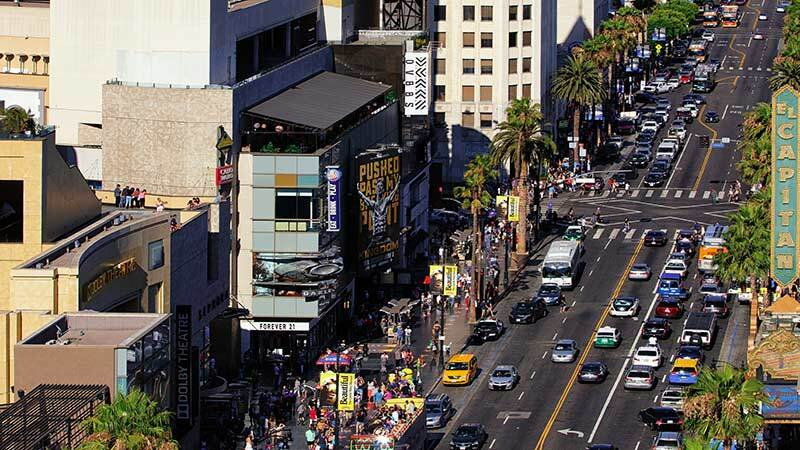 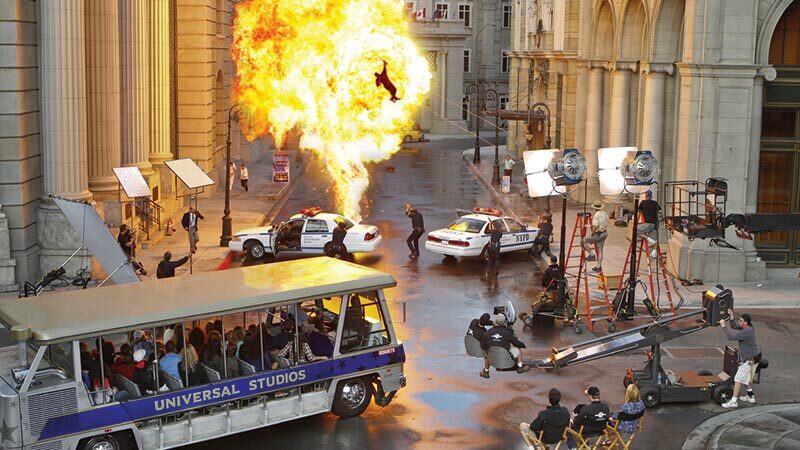 Visitors may like to spend the day visiting the incredible Universal Studios, snapping a selfie on the iconic Hollywood Walk of Fame, or taking a stroll down the famous Rodeo Drive. 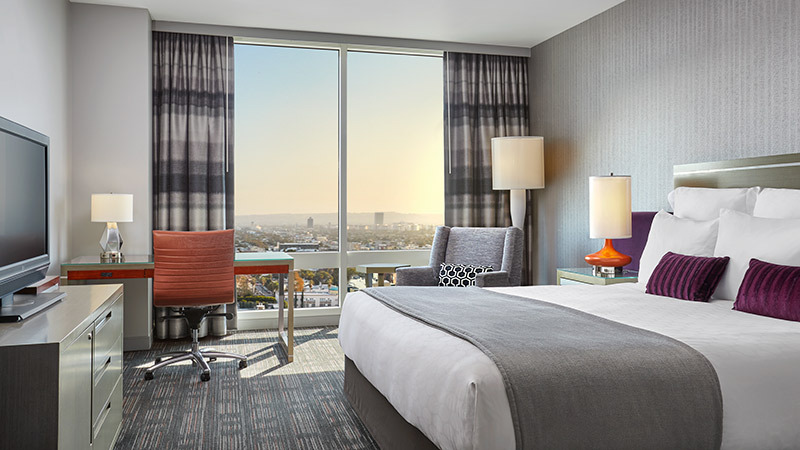 Whatever you decide to do, you can be sure that staying at the Loews Hollywood Hotel will help to make your visit to California a trip to remember! 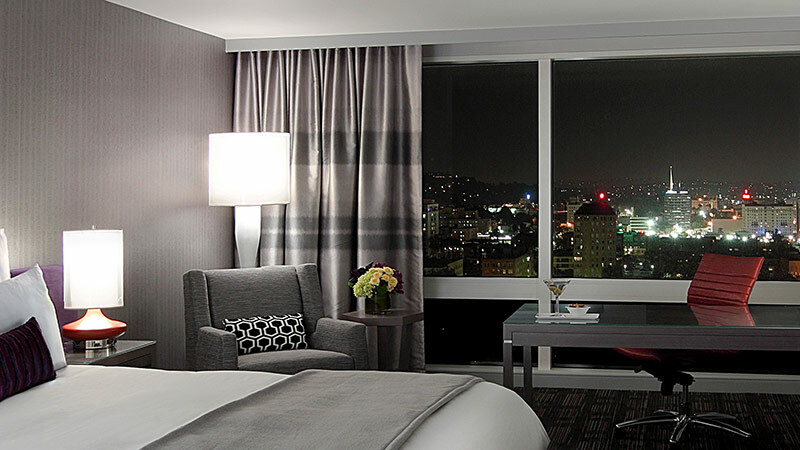 Preston’s restaurant offers Californian inspired cuisine for breakfast and lunch. 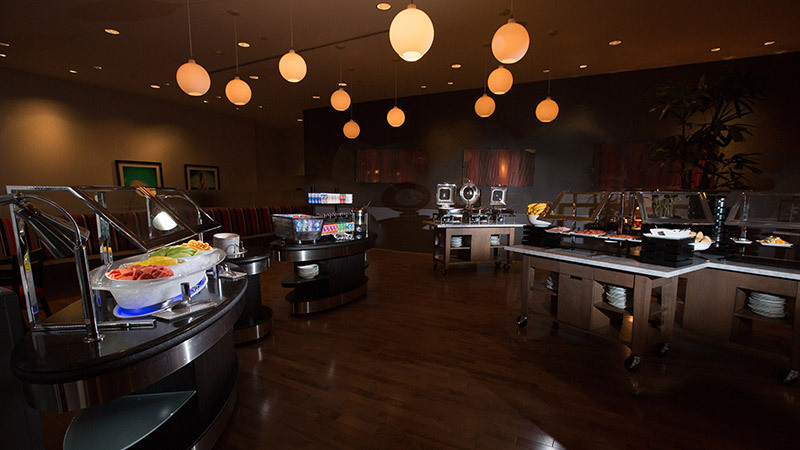 Serving made-to-order omelettes and griddle favourites to smoked salmon and charcuterie. 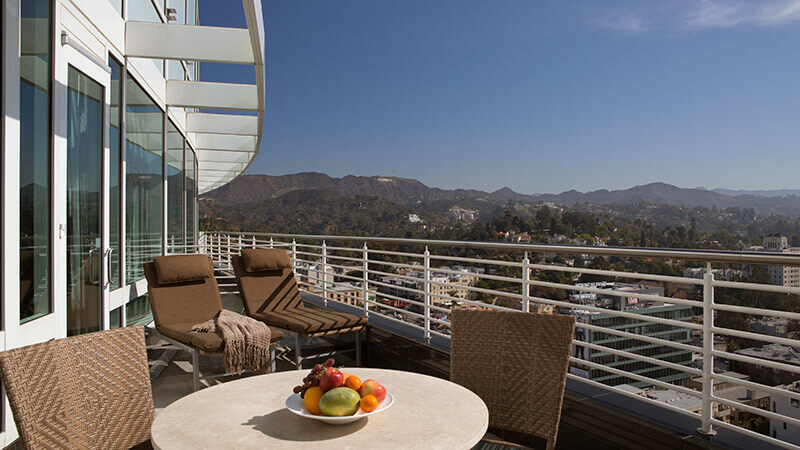 At H2 Kitchen & Bar, you’re surrounded by spectacular Hollywood views, this a great place to try a quick bite or one of their handcrafted cocktails. 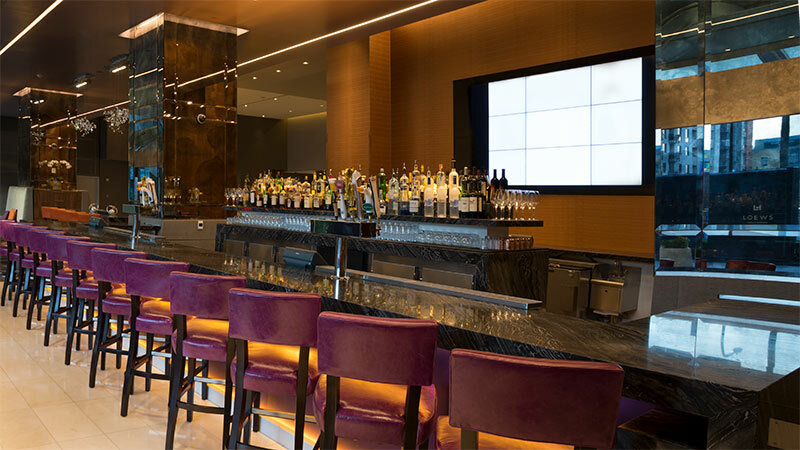 Bodega is located on the lobby level, featuring Starbucks coffee drinks, sandwiches, salads, wines, and craft beers, as well as artisan pastries, pressed juices, and organic snacks. 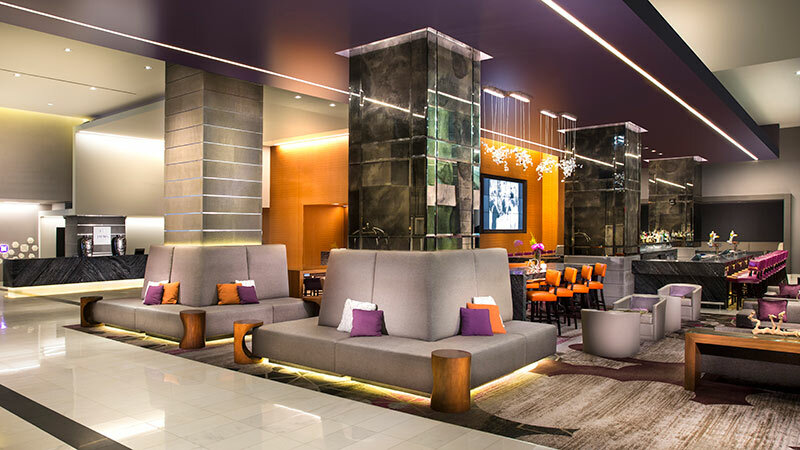 A great place to grab a snack if you’re on the go. 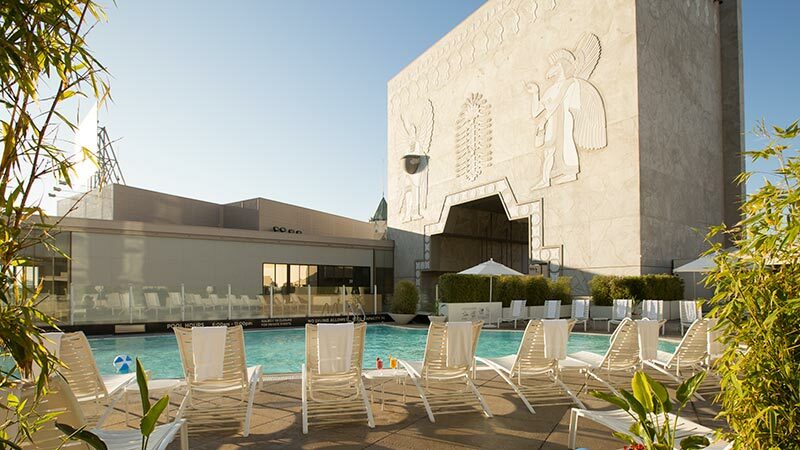 Bask in Hollywood sun while you relax in the 5th-floor outdoor pool. 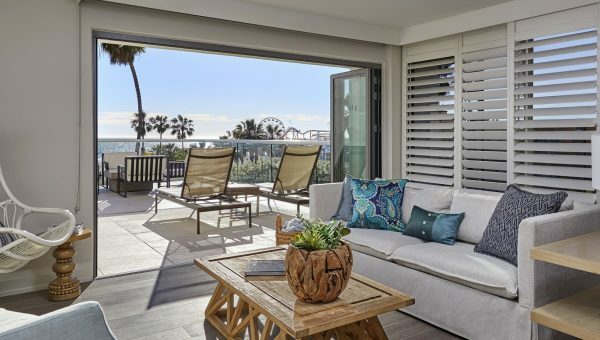 Enjoy a casual poolside menu while trying a variety of refreshments including cocktails, wine, champagne, and mocktails. 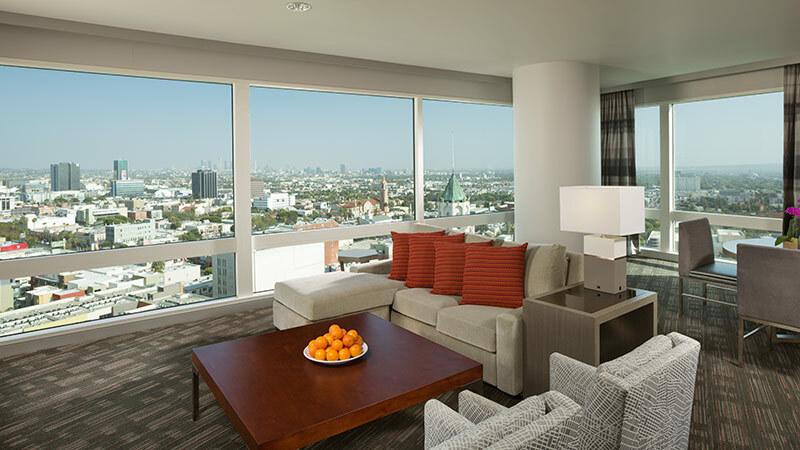 Book your perfect trip to Loews Hollywood Hotel.